Orientation Camp Visits 2013 is a spotlight of Federation during summer vacation. Student societies would organize orientation camps at that time so as to welcome freshmen and enrich business freshmen’s university experience, give freshmen opportunities to meet their peers, and know more about their professions. Hong Kong Federation of Business Students (HKFBS) therefore would like to grasp these opportunities and launch a visit campaign in virtue of a rare occasion in which most of the business undergraduates can assemble while they are pursuing their academic goals. It not only serves as a welcoming event to all freshmen from nine local universities, but also a platform to introduce our Federation and distributes welfare to all our members. 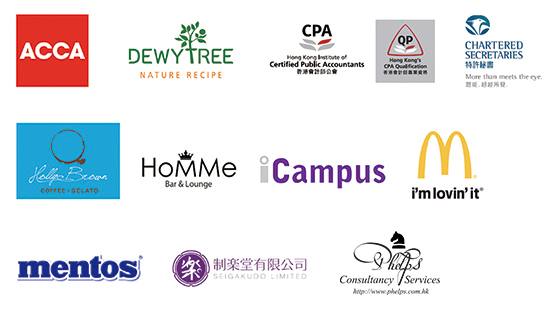 Thanks to the following sponsors: ACCA Hong Kong, DKSH Hong Kong Limited, Holly Brown, Hong Kong Institute of Certified Public Accountants, LF Asia (HK) Ltd., McDonald’s Restaurants, Seigakudo Limited, Senco-Masslink Technology Limited, The Hong Kong Institute of Chartered Secretaries, our Orientation Camp Visits 2013 will be as successful as ever.